When we are stranded on the side of the road, we can feel panicked, worried, and as if everything is out of our control. The team at Gordie’s Garage wants to prevent you from getting into this position as much as possible. But if it ever happens, we offer towing and roadside assistance with the help of Van’s Towing. They will easily transport your vehicle to our facility in Roseville for transparent and efficient auto repair and auto service. 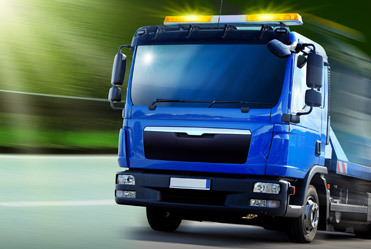 We will do our best to make sure you can get back on the road in short order. Gordie’s Garage is a family-owned and operated business that has served people from all over Roseville, Warren, St. Clair Shores, and the Detroit Metro Area since 1980. Our business had humble beginnings. Gordie started in the back of a welding shop with only a few tools. Now, Gordie’s Garage has a 13,000 square foot car repair facility, complete with a comfortable waiting room, 15 bays, plus all the latest technology and equipment. We take pride our work, and we want our clients to be treated fairly. If you are in need of towing, do not panic. We can help. We strongly recommend our clients contact Van’s Towing at (586) 775-5500. Make sure when calling you mention towing it to Gordie’s Garage. Van’s Towing is very popular and we wouldn’t want your vehicle to end up somewhere else. If your vehicle needs repair or major auto service, come to Gordie’s Garage. To make an appointment, you may schedule online or call us directly. Just a quick trip from the cities of Warren and St. Clair Shores, Gordie’s Garage is located at 29046 Calahan Road in Roseville. We look forward to seeing you soon.